A former German diplomat's son who's serving life in a Virginia prison for killing two people is hoping new evidence will win his parole. Meanwhile, the woman convicted of helping him kill her parents maintains they're both guilty. RICHMOND, Va. (AP) -- A former German diplomat's son who's serving life in a Virginia prison for killing two people is hoping new evidence will win his parole. Meanwhile, the woman convicted of helping him kill her parents maintains they're both guilty. 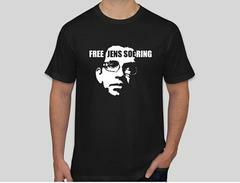 An attorney for Jens Soering has sent Gov. Bob McDonnell the sworn statement of a Lynchburg-area man who says Elizabeth Haysom and another man brought a bloody car into his transmission shop not long after her parents were stabbed and nearly decapitated in 1985. Tony Buchanan's statement is the latest piece of new evidence Soering's attorneys have produced in an attempt to win his parole and deportation. 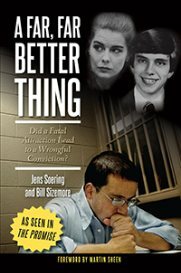 In a letter to The Associated Press, Haysom says Soering's innocence claims false. Haysom is serving 90 years for her role in the murders.